›Croix des Bouquets Rara Band Metal Wall Art, 24 in. Croix des Bouquets Rara Band Metal Wall Art, 24 in. 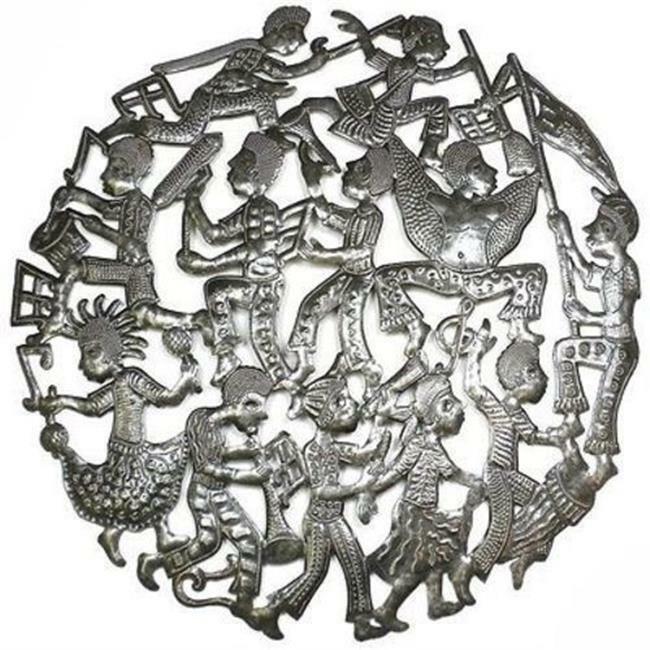 24-inch Rara Band Metal Wall Art Handmade and Fair Trade - We constantly introduce new methods, materials and machinery to compete in the highly competitive jewelry and other traditional art work market. Each piece is accentuated by fine material which turns out to be the most sought after art work where it benefits the artisans and keeps the traditional artesian industry live. The perfect choice for gifting as well as personal use.